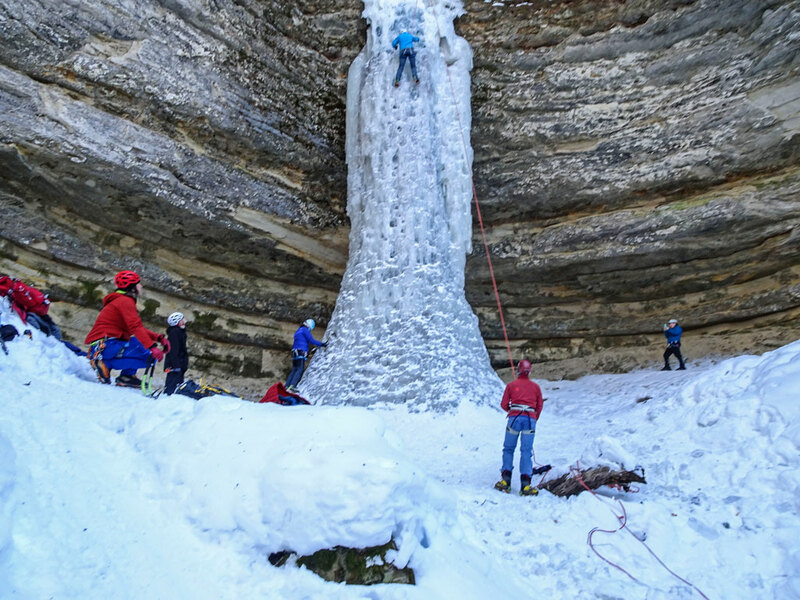 One of the things on my bucket list has been to attend the Michigan Ice Fest. It has always been a problem because it was on the same weekend as the Hudson Hot Air Affair and the Apostle Islands Sled Dog Race. 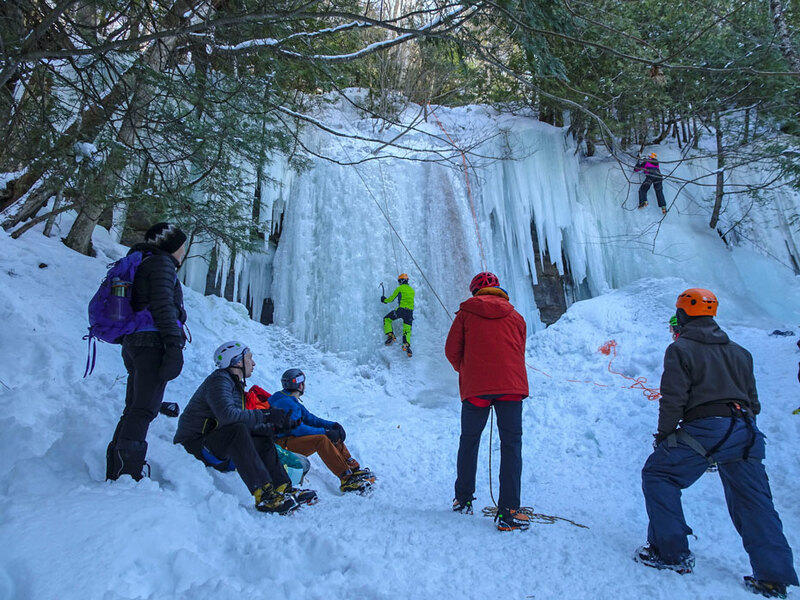 This year the all took place on separate weekends so my wife and I decided to headed over to Munising for the Ice Fest. It had been a cold two weeks prior to the start of the Ice Fest but wouldn’t you know that on the first day of the Fest it was 40+ degrees. Still climbing conditions were good. We stopped at Fest headquarters at caught a shuttle out to the climbing areas. 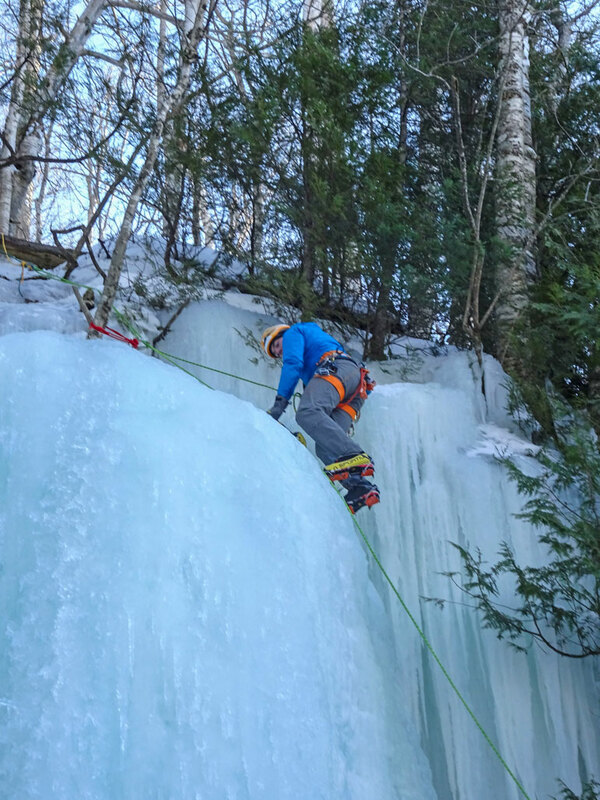 Although we are frequent visitors to Munising in the Spring and Fall we had never visited in the winter so we didn’t know what to expect. 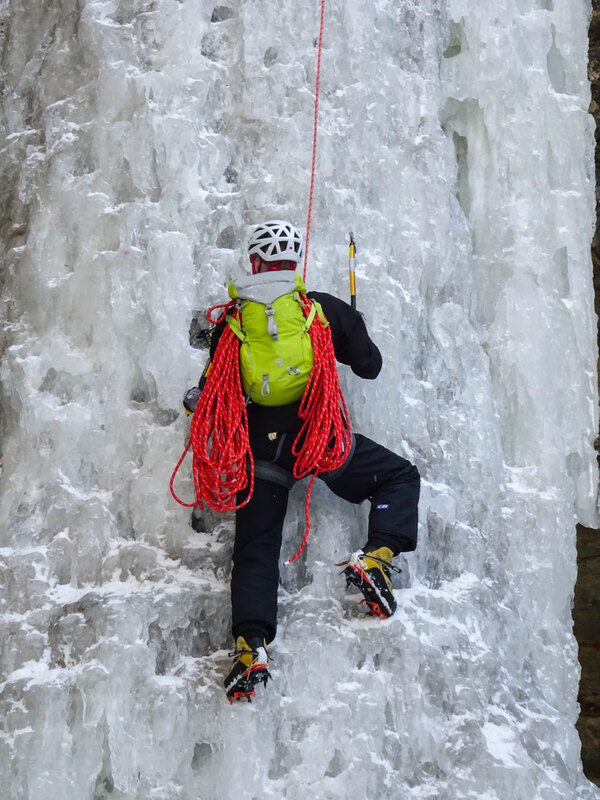 We had hopped that it would be possible to get to some of the spectacular climbing areas along the shoreline or at Grand Island but that wasn’t possible so we were confined to the climbing areas along Sand Point Road. The shuttle dropped us off at the Curtains where some climbing classes were being held. 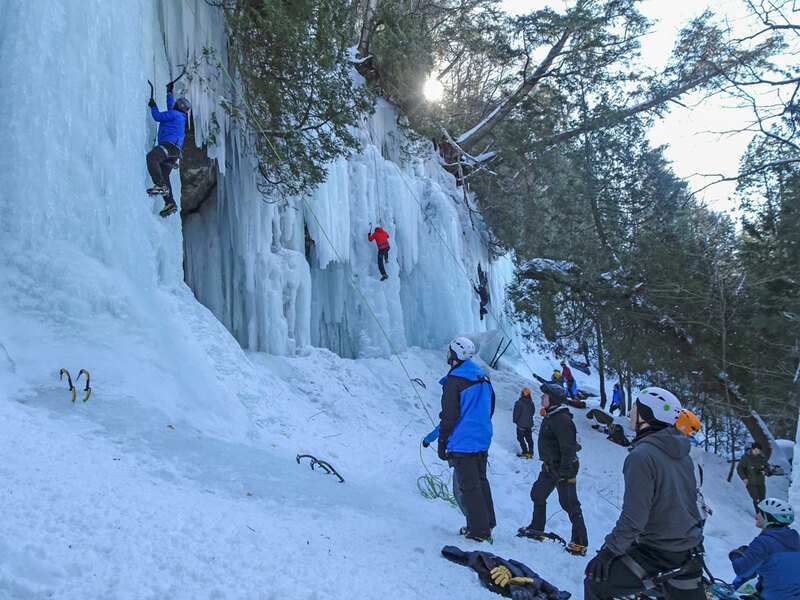 More photos from the Michigan Ice Fest can be found on my website. At Opening Curtain we watched for quite a while. Looked like the climbers were having fun. It reminded me of my climbing days but that was 50 years ago. 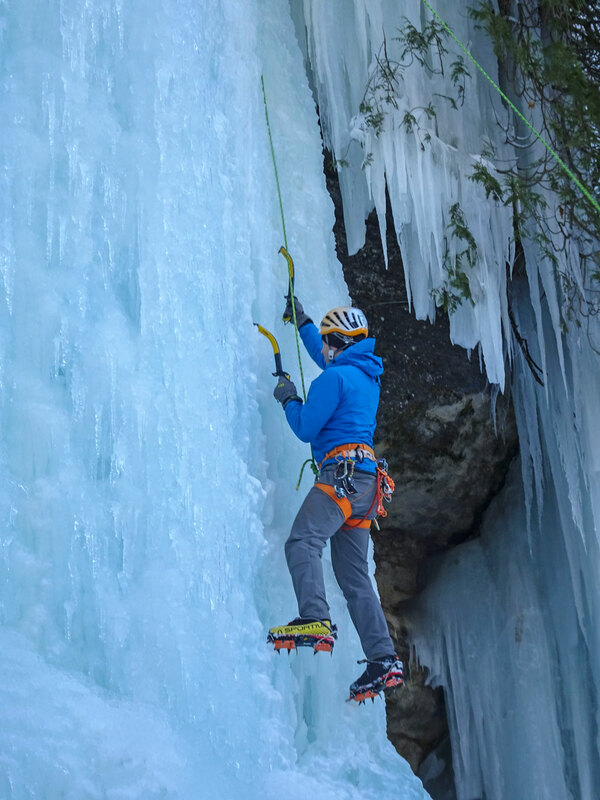 I might have caught the bug again and since they hold classes at the Sandstone Ice Festival and I may give it a try again. 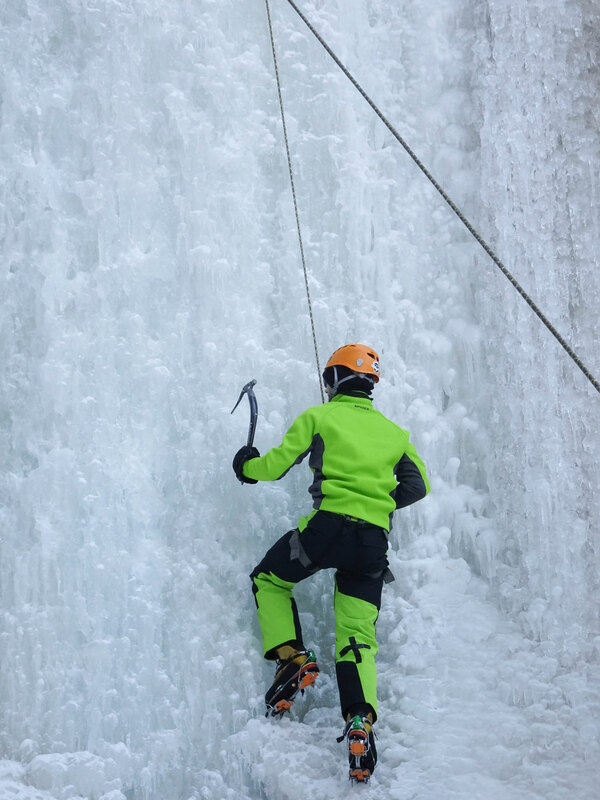 We walked down to the Curtains and watched a different climbing class work on the ice walls. Our final stop of the day was Dryer Hose. Dryer Hose was open climbing so climbers who were a little more experienced were climbing here. We watched a couple of climbers go up the wall. The last one was carrying ropes and webbing. Apparently there was a climber rigging at the top of the climb and he had forgotten some gear he need so another climber was bringing up what he needed. On Saturday it was snowing and blowing in Duluth and it was expected to get worse during the day. 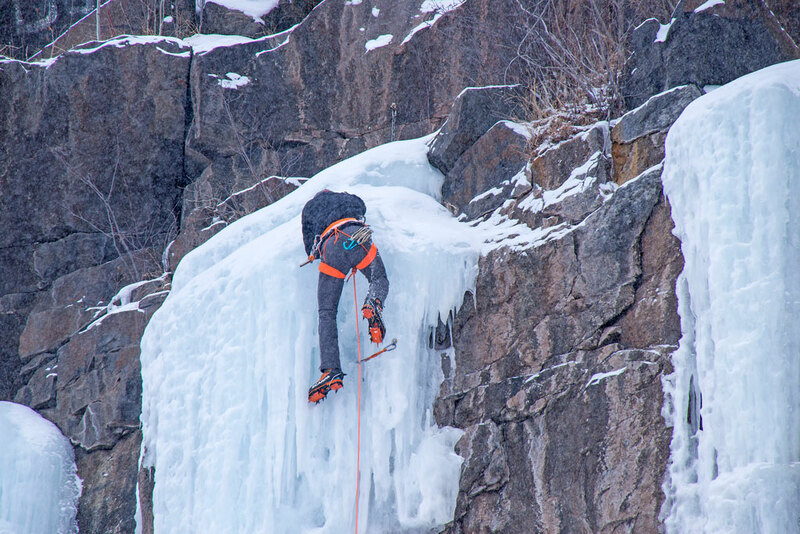 We had planned to stop in at the 2018 Duluth Ice & Mixed Fest being held at Casket Quarry. This was our first visit to the Ice Fest now in its third year. It was snowing hard when we arrived so it was difficult to take photos. The camera was getting wet and automatic focus was not working all that well. There were a few climbers on the wall when we arrived. 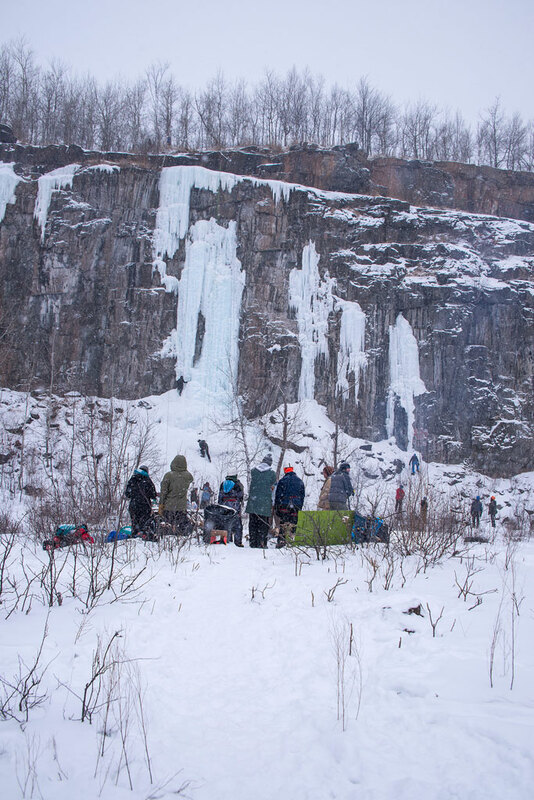 What sets this venue apart its the the fact that it combines rock and ice climbing on a 100 foot wall. 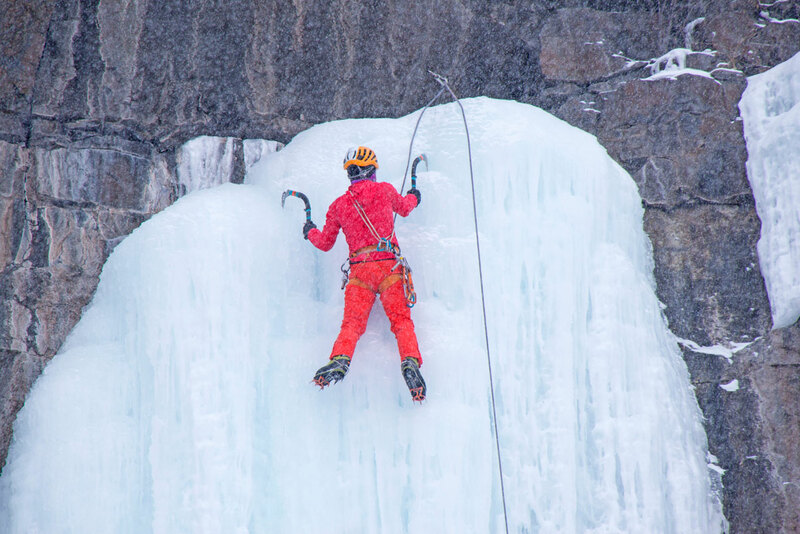 The ice results from water seeping out of the rocks although the climbing club plans on farming ice on a section of the wall so they can provide a training ground for climbers. More photos from the day can be found on my website. There was a fire going and some folks were gathered around the fire watching the climbers. 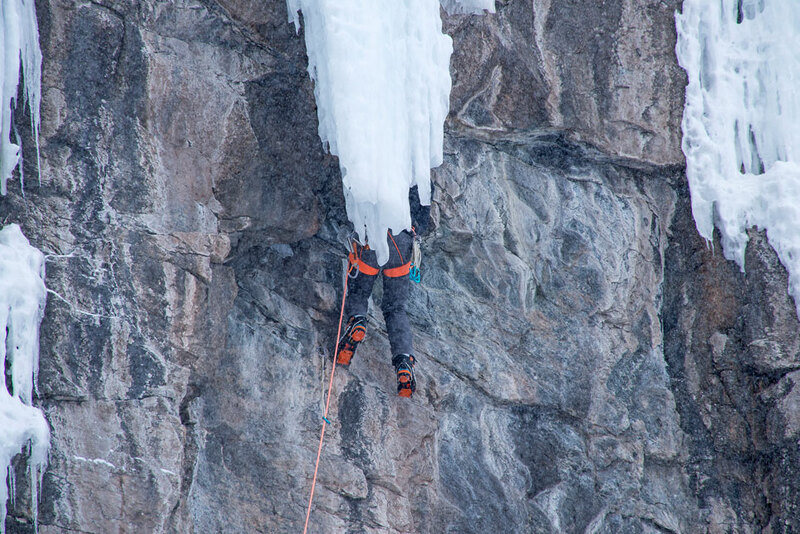 This climber was working up a crack on the face of the wall. 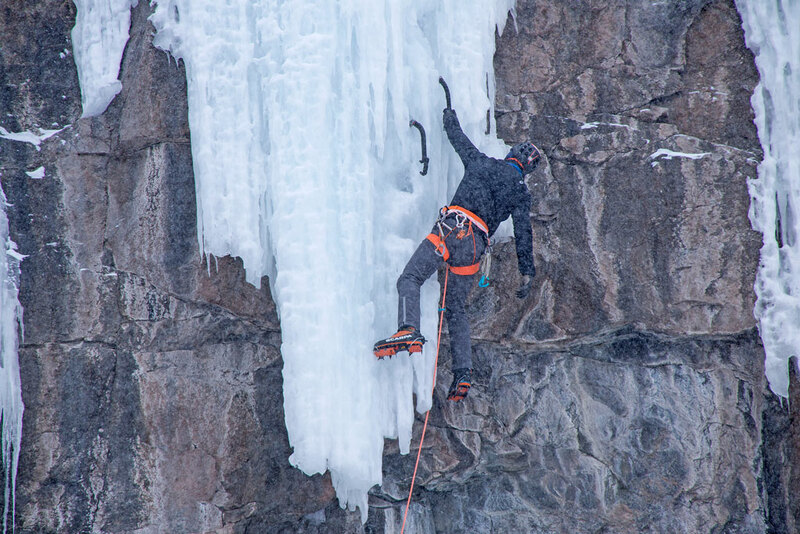 This climber worked his way up a crack and under the ice before making his way onto the ice to finish the climb. On the way out we stopped to talk to some folks and asked where the name “casket quarry” came from. Apparently a business next to the quarry made vaults and stored them along the trail to the quarry. 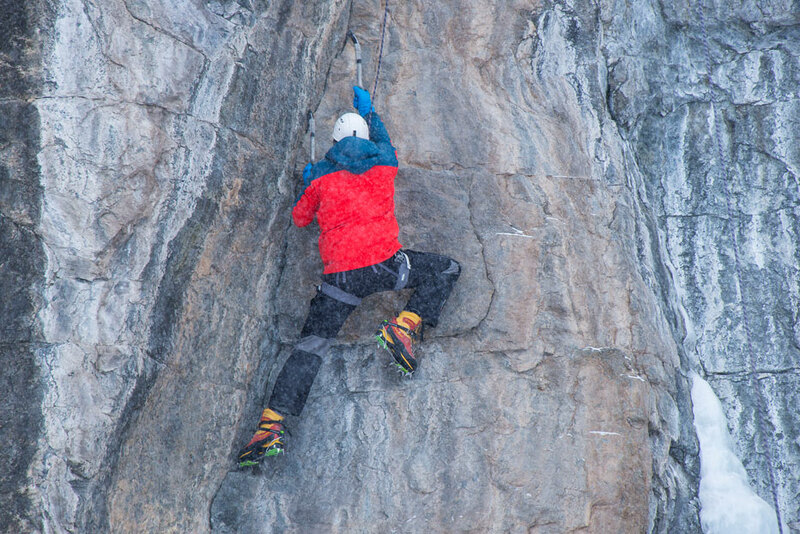 When climbers were asked where they were going to climb they would say “at the casket quarry”.